We have created a cost effective, flexible method for quickly and accurately calculating stockpile volumes. We provide custom volume and weight reports; the data is acquired when you want it, and is delivered on your schedule in the format that fits your requirements. We have been working directly with aggregate companies to develop this service for several years. If you are interested in a reliable and safer method of managing your stockpile inventories, please contact us. 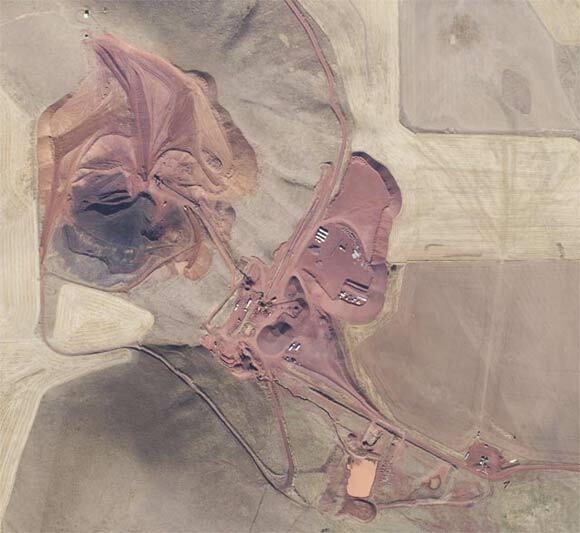 We have been providing orthophotos of mine sites to private companies and state agencies every year for over 15 years. We image hundreds of mines every year to allow state agencies to monitor permit boundaries and reclamation efforts. Our unique technology and processes allow us to efficiently gather images from many small sites over a large geographic area.